The deadline for paper proposals for our 2016 meeting in Atlanta, Georgia, is October 5. Students submitting papers to the undergraduate research section have until December 15. Please remember that these papers need to be reviewed by a faculty sponsor before submission. Send in those proposals! The following sections and program units invite members/participants who wish to present a paper or coordinate a session to submit the Proposal Submission Form available on the SECSOR website (http://secsor.org) along with proposals to the appropriate section chairs by October 5, 2015. Proposals should consist of a 1-2 page description of the presentation unless otherwise requested in the call for a particular section. Graduate students who wish to be considered for the AAR or SBL Graduate Student Prize must notify the chair of the section that has accepted their paper, and submit to that chair a paper of no longer than 12 pages no later than January 15, 2016. Graduate students who wish to be considered for the Joseph A. Callaway award from ASOR must submit to the ASOR chair a paper of no longer than 12 pages by January 15, 2016. Themes: (1) Open call for papers broadly relating to the Bible and Modern Culture. (2) “Ritual/Cultural Practices: Holy Texts, Holy Actions, Holy Lives.” We welcome proposals on this broad theme of interaction with the Holy, including those dealing literature, literary or historical analysis, biography, current or historical aspects of culture, anthropology or sociology, etc. Send proposals for the above two sessions to Professor Brian Mooney (brian.mooney@jwu.edu) or Dr. Finbar Benjamin (fbenjamin@oakwood.edu) (3). Co-sponsored session with New Testament and Method and Theory in the Study of Religion. We seek papers on the following: Biblical Studies has often been on the forefront of using new methods and theoretical designs to read ancient texts. We seek papers that analyze the current state of interpretation and hermeneutics, with an emphasis on the theory, application, and critique of new methods. Send proposals for this session to Dr. Randall Reed (reedrw@appstate.edu). Themes: (1) joint session with Philosophy of Religion and Religions of Asia on “apophasis within or across religions”; (2) joint session with Religion and Ecology on the ecohermeneutics of Pope Francis’ environmental encyclical scheduled for release this year; (3) open call for papers relating theologies of social location to the 2016 SECSOR theme “Translation and Context”. Submit all proposals to Steven R. Harmon, Gardner-Webb University School of Divinity, (sharmon@gardner-webb.edu) and Elizabeth O’Donnell Gandolfo, Wake Forest University (elizabeth.gandolfo@gmail.com). *For the joint session on apophasis within or across religions, please include also Lisa Battaglia lbattagl@samford.edu), Rachel Pang (rhpang@davidson.edu), and Nathan Eric Dickman (nedickman@yhc.edu); for the joint session on the ecohermeneutics of Pope Francis’ environmental encyclical, please include also Todd LeVasseur (levasseurtj@cofc.edu) and Jefferson Calico (jcalico70@gmail.com). Themes: Proposals on all topics will be considered, but the following topics are encouraged: (1) a joint session with Islam and with Religions of Asia on immigration and religion; (2) ethics and interreligious dialogue in America; (3) violence and non-violence in cultural context; (4) world religions, disability studies and health. All submissions are encouraged to consider and pay close attention to issues pertaining to the balance between theory and applied ethics. Submit proposals to Sally Holt, Belmont University (sally.holt@belmont.edu) and Michael Stoltzfus, Valdosta State University (mjstoltz@valdosta.edu). In addition, for the joint session with Islam and with Religions of Asia and Ethics, Religion and Society also send proposals to Eleanor Finnegan (finneged@gmail.com), Lisa Battaglia (lbattagl@samford.edu) and Rachel Pang (rhpang@davidson.edu). Themes: (1) The Hebrew Bible/Old Testament section invites proposals for two open sessions, particularly regarding this year’s theme of “translation and contexts.” (2) In addition, we request proposals related to the reception history of biblical texts. We are especially interested in papers exploring how biblical texts have been received in fiction, art, music, and film. How does the translation of biblical texts into these new contexts produce new meaning? (3) A final session will focus on commentary writing and include an invited panel discussion with Carol Newsom and Choon-Leong Seow regarding the future of the commentary. Send proposals for open sessions to co-chairs: Phillip Michael Sherman (Phillip.Sherman@maryvillecollege.edu) and Jim West (jwest@highland.net). Themes: Proposals on all topics in Islamic Studies are welcome, but submissions on the theme of “translation” and the following are especially invited: (1) “Immigration and Religion” as part of a joint panel with Religions of Asia and Religion, Ethics and Society; (2) “Historical Texts/Modern Contexts,” which invites papers which broadly interpret connections or disconnects between scholarship or data from the past and contemporary contexts in scholarship and/or in teaching; (3) “Conversations in Islamic Studies: The Study Qur’an,” which invites discussants for a conversation about the implications and contributions of the The Study Qur’an: A New Translation and Commentary being published by HarperOne. Submit proposals to Eleanor Finnegan, University of Alabama (edfinnegan@ua.edu) and Roshan Iqbal, Agnes Scott College (roshan.iqbal.05@gmail.com). In addition, for the join session with Religions of Asia and Religion, Ethics and Society also send proposals to Sally Holt, Belmont University (sally.holt@belmont.edu), Michael Stoltzfus, Valdosta State University (mjstoltz@valdosta.edu), Rachel Pang, Davidson College (rhpang@davidson.edu), and Lisa Battaglia, Samford University, (lbattagl@samford.edu). Proposals addressing any topic in Biblical/Early Judaism, Rabbinic Judaism, or Contemporary Judaism will be considered, but proposals are especially sought on the following themes: 1) Contemporary Judaism—any topic related to Judaism in the present day; 2) Rabbinic Judaism—any topic related to rabbinic themes, texts, or historical periods; and 3) Second Temple Judaism—any topic, but special consideration given to proposals pertaining to writings among the Dead Sea Scrolls. Submit all paper proposals by email to Michael Fuller, Lee University, mfuller@leeuniversity.edu, and Samuel Kessler, University of North Carolina at Chapel Hill, skessler@unc.edu. Themes: (1) The Culture on the Edge collective has produced a number works in publishing, social media and conferences. The participants including Russell McCutcheon, Craig Martin, Monica Miller, Steven Ramey, Merinda Simmons Leslie Smith and Vaia Touna have created a collective with increasing visibility in the American Religious Studies scene. We seek papers that engage this body of work—which comprises an attempt to extend the application of our fields scholarship to other areas of cultural critique—either through critique, analysis or extension. (2) How has the notion of “spirituality” been shaped in popular and academic literature? This panel seeks papers that investigate explanations of religious or non-religious “spirituality” from a theoretical perspective. 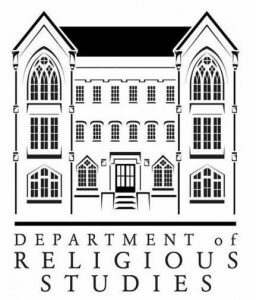 We especially encourage papers that examine the development of “spirituality” as a category, and that attend to the theories or methods used in studies of spirituality.” Send papers for these sessions to Dr. Randall Reed (reedrw@appstate.edu) and Dr. Laura Ammon (ammonll@appstate.edu). Themes: The New Testament section for the 2016 SECSOR conference invites paper proposals for the following sessions: (1) In keeping with the theme, Translation and Contexts, papers focusing on the role of context(s) (e.g., gender, race, ethnicity, disability, etc.) in translation, especially as it relates to issues of inclusive language in the New Testament. (2) Papers engaging the theme of Powers and Principalities and/or discussing characterization in the New Testament. (3) An open call for papers in any area of New Testament studies. (4) A joint session with Bible and Modern Culture and Method and Theory in the Study of Religion: Biblical Studies has often been on the forefront of using new methods and theoretical designs to read ancient texts. We seek papers that analyze the current state of interpretation/hermeneutics of the New Testament with an emphasis on the theory, application, and critique of new methods. Send proposals for NT sessions to Annie Tinsley (antinsley@shawu.edu) and Kathy Barrett Dawson (kathy@kathybarrettdawson.org). Proposals for the joint session should also be sent to Randy Reed (reedrw@appstate.edu). Themes: Proposals on all topics in Philosophy of Religion will be considered, but the following session themes are encouraged: (1) a joint session with Religions of Asia and Constructive Theologies on “apophasis within or across religions;”* (2) a joint session with Methods and Theories and History of Christianity on “Gadamer and Ricoeur: Thinking through Translation and Interpretive Contexts;”** (3) an open call for presentations in any area of philosophy of religion, but submissions are particularly encouraged that address the conference theme: “Translation and Context.” For all sessions, please send proposals to Nathan Eric Dickman (Young Harris College) at nedickman@yhc.edu. *For the joint session on apophasis within or across religions, please include Lisa Battaglia (lbattagl@samford.edu), Rachel Pang (rhpang@davidson.edu), Steven Harmon (sharmon@gardner-webb.edu), and Elizabeth O’Donnell Gandolfo (elizabeth.gandolfo@gmail.com). **For the joint session on Gadamer and Ricoeur, please send proposals to Nathan Eric Dickman. Theme: Religion and American Law. All proposals related to religion and law will be considered, but we particularly invite papers addressing: (1) The Affordable Care Act (“Obamacare”). (2) Sincerely-held religious belief. (3) Tolerance, pluralism, and the law. (4) Recent Supreme Court decisions such as Burwell v. Hobby Lobby and Holt v. Hobbs. (5) Conflict and Consensus: Christianity, Civil Rights, and Religious Freedom in the United States (joint session with History of Christianity) As evidenced by Indiana’s recent Religious Freedom Restoration Act, the relationship between “religious freedom” and other notions of “human rights” or “civil rights” is far from settled. We invite papers that explore the evolution of religious freedom in Christian history and American history during the last fifty years. Send proposals to Brad Stoddard (bstoddard@mcdaniel.edu) and Mike Graziano (grazmike@gmail.com). If you are proposing a paper or panel for the joint session with History of Christianity, please indicate this in your e-mail. Themes: All papers related to Religion, Culture, and the Arts will be considered. Special consideration will be given to papers or panels related to the following themes: (1) Narrative Form and Authenticity in Religion, Culture, and the Arts; (2) The Creation of Transnational Identity in Art, Music, and Culture; (3) Atlanta and Southern Religious Culture and Arts; (4) Open call. Please submit proposals to both section chairs, Cara Burnidge (burnidge@gmail.com) and Andrew McKee (am13ag@my.fsu.edu). Themes: Papers in all areas of Religions in America will be considered, but special consideration will be given to the following themes: (1) Religion, place, and the city; (2) Religion and materialism; (3) Religion, civil rights, civic activism. Email proposals to the Religions in America Section to Dr. Monica Reed (mcreed@lsu.edu) and Joshua Fleer (jfleer@fsu.edu). (4) With the Teaching and Learning Religion section, we issue a joint call for papers that explore the question “How should instructors approach teaching about controversial religious groups?” Papers that focus on controversial American religious groups will receive special consideration, e.g., the Nation of Islam, the Klan, Westboro Baptist Church, the People’s Temple, etc. Proposals to this joint session should be submitted with copies to both Sections. Email proposals to this joint session to Dr. Monica Reed (mcreed@lsu.edu) and Joshua Fleer (jfleer@fsu.edu) with copy to Drs. Jodie Lyon (lyon@uga.edu) and Derrick Lemons (dlemons@uga.edu). Themes: (1) In conjunction with the 2016 theme, “Translation in Context,” we solicit proposals on the issue of translation broadly conceived: translation, translation studies, the movement across cultures and other boundaries, and so forth; (2) A joint session with Islam & Religion, Ethics, Society on “Religion and Immigration;”* (3) A joint session with Philosophy of Religion & Constructive Theologies on “Apophasis within or across Religions;”** (4) Asian Religion and Popular Culture; (5) Open call. Send questions and proposals to Lisa Battaglia, Samford University (lbattagl@samford.edu) and Rachel Pang, Davidson College (rhpang@davidson.edu). *For the joint session on Religion and Immigration please include Michael Stoltzfus, Valdosta State University (mjstoltz@valdosta.edu), Sally Holt, Belmont University (sally.holt@belmont.edu), and Eleanor Finnegan, The University of Alabama (finneged@gmail.com). **For the joint session on Apophasis within or across Religions, please include Nathan Eric Dickman nedickman@yhc.edu, Steven Harmon (sharmon@gardner-webb.edu), and Elizabeth O’Donnell Gandolfo (elizabeth.gandolfo@gmail.com). (3) Open call. The Teaching and Learning Religion section invites proposals (papers or a panel) that join innovative teaching practice with the scholarship of teaching and learning. Proposals should be submitted with copies to both Sections. Email proposals to Drs. Jodie Lyon (lyon@uga.edu) and Derrick Lemons (dlemons@uga.edu). Chair: Dr. Derrick Lemons. (phillips_v@wvwc.edu) and Richard Coble (richard.r.coble@vanderbilt.edu). (4) A joint session. With Black Cultures and the Study of Religion, we welcome papers that address and interrogate the performance of race and gender in contemporary popular media. We seek papers that examine this intersection in film, music, television series, and so forth. We especially invite papers that deal with the depictions of race and gender in the recent work of Shonda Rhimes, creator of Scandal. For this co-sponsored session, send paper proposals to Joseph Winters (jwinter6@uncc.edu), Richard Coble (richard.r.coble@vanderbilt.edu), and Vicki Phillips (phillips_v@wvwc.edu).